Enceladus has been one of the most interesting celestial bodies of the solar system for a long time and it became even more so after a few weeks ago a study that used data collected by the Cassini space probe determined that it possesses a global subsurface ocean of liquid water. 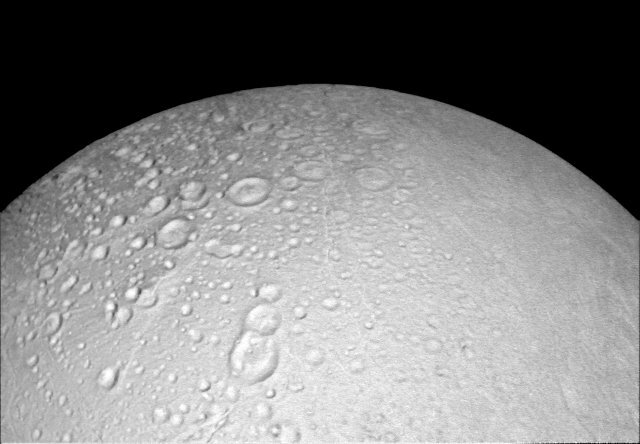 The three Enceladus flybys have been scheduled for some time but they’re coming up with perfect timing to better study this moon. The Cassini space probe mission is a collaboration between NASA, ESA and ASI (the Italian Space Agency) And has been observing more or less closely the planet Saturn and its many moons for years. Many maneuvers that Cassini carries out are carefully programmed, also because it has a finite amount of fuel that will end in 2017. 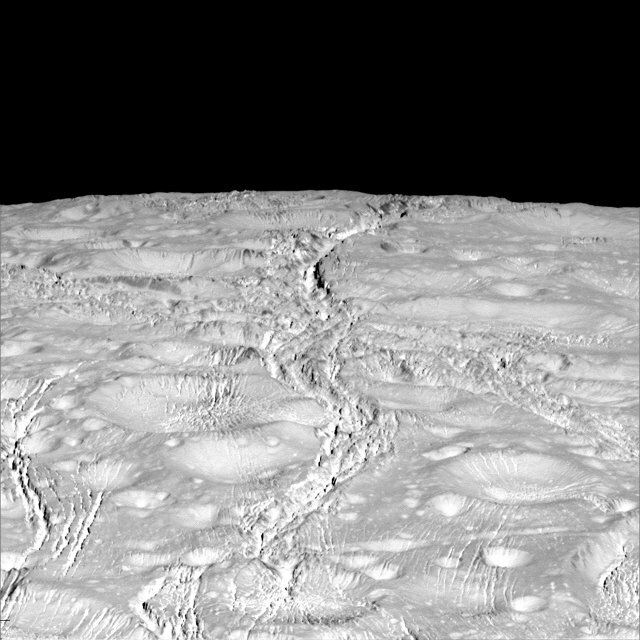 The Cassini space probe had already made Enceladus flybys but at the north pole it was winter so it was in the dark and only over the years light came slowly. The consequence is that so far the best images of the region were those taken many years ago by the Voyager 2 space probe, at a resolution much lower than Cassini’s. Those old photographs had already shown several craters near the moon’s north pole but only this time we can see the morphological details of the area. The photographs taken in recent days are still coming from the Cassini spacecraft but they already show the strong contrasts of the polar landscape. The fractures in the ice are extensive, more than scientists thought assessing the effects of stress caused by Saturn’s gravity. Perhaps we’ll know more when scientists can examine all the photographs because the next flybys have other purposes. On October 28, Cassini will pass at just 49 kilometers (30 miles) altitude but above the South Pole, to better study the geysers existing in that region. The last flyby is scheduled for December 19, 2015 at a distance of about 5,000 kilometers (a little more than 3,100 miles) to measure the amount of heat coming from Enceladus interior.